The 2018 SABRE Awards South Asia is now accepting entries ahead of the early deadline of 27 April. The sixth SABRE Awards South Asia, again produced by the Holmes Report and PRCAI, will take place at the Pullman Hotel in New Delhi on 25 July. 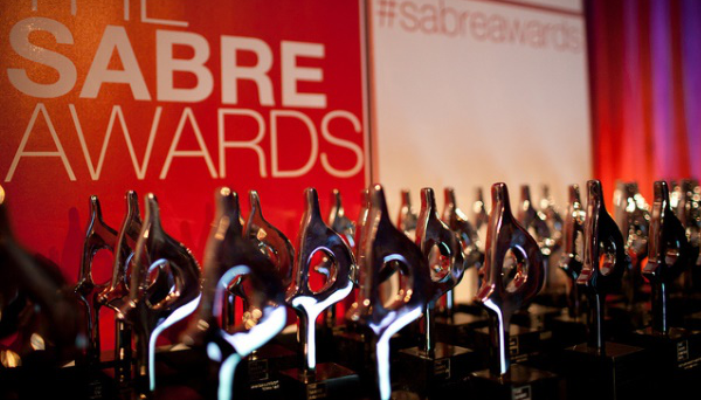 This year, all SABRE Awards South Asia winners will automatically be entered into the SABRE Awards Asia-Pacific competition at no extra cost. All of the relevant entry information and fees can be found here, along with the procedure for making online entries. Entries will be accepted beyond 27 April until 1 June upon payment of a late fee. A jury of industry leaders will be announced shortly. The judges session, which will take place in June, will be chaired by Holmes Report editor-in-chief Arun Sudhaman and PRCAI president Nitin Mantri. She joined Madison World as a management trainee in 2004 after completing her Masters in Marketing from Bristol University in England. She then had a client servicing role in the advertising unit of the agency. As Executive Director, Balsara has taken charge of diversification and her efforts have already borne fruit. Today Madison World is a diversified communication group, with a billing of about Rs 3,000 crore. Balsara has evaluated the company’s venture into foreign countries and has initiated the process of Madison World venturing into areas like mobile and digital e-commerce. Madison World has 24 units across 11 specialised functioning areas in advertising, media, business analytics, Out-of-Home, public relations, retail, entertainment, mobile and sports. Madison World currently employs more than 800 professionals across cities in Sri Lanka, Thailand and India. Balsara’s profile requires her to work with various Madison World units and aid them in business development, Human Resources and Legal. WE Communications has formally announced its long-awaited acquisition of India's Avian Media, 12 months after the deal was first reported by the Holmes Report. The deal involves the acquisition of a majority of Avian by WE, but falls short of a 100% buyout. WE Communications international president Alan VanderMolen would only confirm that his firm had acquired a "significant" stake in India's second-largest PR independent. Winners of the Holmes Report's Indian Consultancy of the Year in 2015, Avian has grown rapidly in recent years, up 50% in 2016 alone and reaching approximately $5m in fee income by the end of 2017. Unsurprisingly, the firm has long attracted acquisition interest, notably from Omnicom, but this deal sees WE win the race for a firm described by CEO Melissa Waggener Zorkin as a "like-minded independent." At a time when restaurants are feeling the heat from new competitors and changing consumer demands, Jack in the Box's marketing head has advised brands to stay true to their roots rather than "forgetting who they are." “As long as we remember who we are as a brand, we can circumvent a lot of those obstacles,” said VP and chief marketing officer Iwona Alter. “We have challenged from the very beginning.” Alter’s remarks were part of a presentation she and Bobby Pearce, chief creative officer of Jack in the Box agency David & Goliath, made at the ANA’s 2018 Brand Masters Conference exploring the chain’s long-standing stature as a challenger brand. A campaign to create awareness of Sikhism and its followers in the United States and fight prejudice has won a top award for excellence in public relations programming to promote public causes. McDonald’s India (MIPL), which is involved in a legal tussle with its estranged partner Vikram Bakshi, has got APCO Worldwide on board as its communications partner in the country. Several MNCs are known to have hired APCO Worldwide to tide over crisis situations or as strategic communication consultants in the past in the country. Reportedly, Nestle India had engaged APCO Worldwide during the Maggi crisis in 2015. 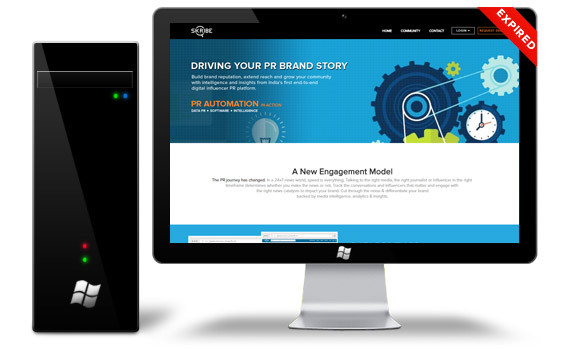 The global communication firm works with clients across diverse sectors. Indian IT giant Infosys has handed global PR duties to Edelman following a competitive review, the Holmes Report has learned. The shift comes after the company's domestic incumbent Adfactors was hired to oversee Tata's mammoth communications remit, which includes rival company Tata Consultancy Services. In something of a swap, the displaced Tata incumbent Edelman now takes on Infosys, bringing a ready-made team that can handle the technology-focused account. It is understood that at least four firms pitched for the Infosys business earlier this month. Infosys communications manager Sarah Gideon confirmed that Edelman had been selected. Global markets, including the US and European assignments that have been handled by Lewis, are included. The US accounts for around two-thirds of of Infosys' $10bn revenue, with Europe bringing in about a quarter.